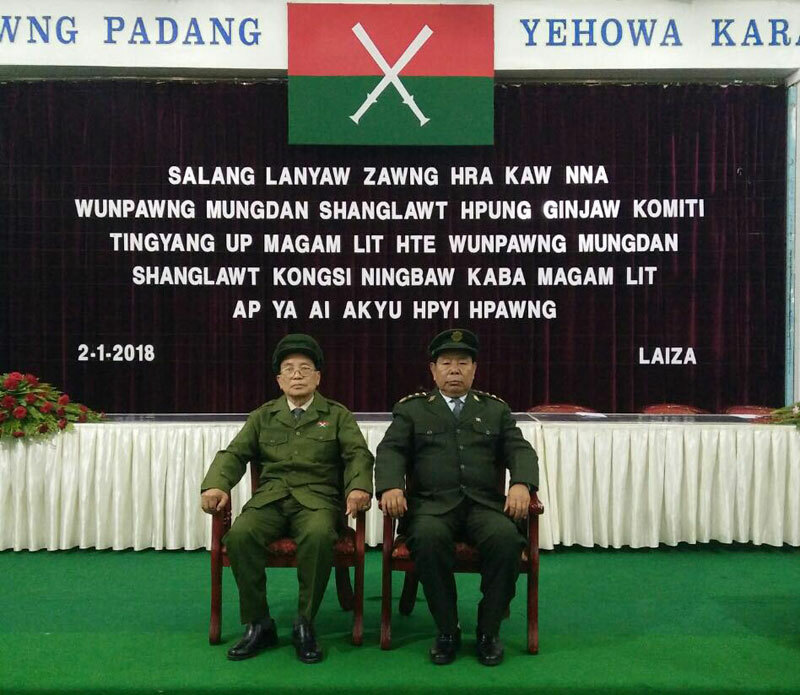 The baton-passing ceremony was held January 2 at the Kachin Independence Organization (KIO) General Headquarters in Laiza during which the post of chairman was handed over to General N. Ban La. Former Chairman Lanyaw Zawng Hra, age 72, retired from his post on health grounds. Lt. Col. Naw Bu from KIO said that the KIO will adhere to its policy despite the leadership change in the organization. “There will be no policy change in our organization. And there will be no policy change in politics too. We have the policy and opinion that genuine peace can be achieved only by dialogue. Similarly we have already had the policy of achieving internal peace and ceasing civil war by means of dialogue. We will adhere to this policy,” Lt. Col. Naw Bu told Mizzima. The power transfer ceremony was started with Christian prayer service and then former chairman Lanyaw Zawng Hra delivered an address and handed over his duty to the new chairman Gen. N. Ban La who delivered an acceptance speech. In the new leadership lineup of the KIO, Gen. N. Ban La will be new chairman of the KIO, current C-in-C of Kachin Independence Army (KIA) will be Vice-Chairman (1) of the KIO, Maj. Gen. Gumlut Gum Maw will be Vice-Chairman (2), and Maj. Gen. Zawng Boke Htan will be Kachin Independence Council (KIC) Vice-Chairman (2). This change of leadership was decided at the central committee meeting held on December 28-30, 2017.